Amy Rose Capetta's debut novel ENTANGLED came out in October and is being called a mix of Star Wars meets Graceling. We are pleased to have Amy here with us today to talk about different writing processes. Please welcome Amy! We’ve just leapt headfirst into the season of pie, cake, and holiday cookies. Butter, chocolate, a fine snow-dusting of sugar. And I am here to tell you to do something that you might not excpect. Those of you who know probably think that I’m a little biased. I was a baker once. Dessert was my business before writing was (or really, at the same time: I took a job that had me up to my elbows in dough by four a.m. so I could be writing in the afternoon.) While I still advocate a good, generous portion of that kind of dessert, right now I’m talking about writing. Eating dessert first means that when you approach your new story, or the tricky revision that’s been staring you down, or the next writing session that feels like a slog, you take a different approach. Think of writing as a buffet. There are a lot of tasks to be done, all of them delicious in their own way (okay, maybe copyediting is that weird jello mold that no one wants to touch.) But what is your favorite? What do you love to do, every time? That’s your dessert. Do that first. It’s different for every writer, and each story can vary, too. But what’s been calling to you? A scene halfway through the book that you can see in vivid detail? A unique setting? Dialogue between two of your characters? Write it. See where it takes you. Let go of a few of the restrictions of page count, and word count, not because they’re unimportant, but because you can be wildly productive when you rush through your story, delighted to get to all of the good stuff, instead of just marching through it, taking it one arbitrary food group at a time. This can work on the story level, or the scene level. When I come up with a new story idea, I let myself have at least a week of notebook scribbling on character and world-building. When I start new scene, if I’m feeling blocked, a lot of times I’ll write the dialogue first, because I tend to have a lot of fun there, and then I go back and structure the beats of the scene and the action around what I have, tweaking as I go. If you’ve never tried eating dessert first, be advised: this can feel more than a little indulgent. But the truth of the matter is, no one cares how your story gets written when they’re reading it. So you might as well have the fun in getting there. I secretly believe that a reader can feel the difference between a writer who is enjoying the work and one who isn’t. I’m not saying that I don’t have the long, hard, arduous days. (Even whole drafts.) But I always have to get back to what I love about the story. And here’s another trick. Unlike in real life, where eating dessert first just makes me want more pie and less of whatever savory but somewhat obligatory thing I was supposed to be eating (turkey, I am looking at you,) the dessert first method in writing actually makes me crave the rest of it. It gets me running to fill in the rest, because when I have something I like, I want to see the rest of the story around it. I can’t take credit for the Eat Dessert First idea. It came to me through a yearly retreat full of wonderful and talented writers. The leaders of our generative workshop, Mary Winn Heider and Katie Bayerl, provided a huge and delightful grab-bag of exercises that helped us get into new stories. They, in turn, got the phrase from Joss Whedon. It’s an idea that’s out there, but I think it can be hard to give yourself permission. So here it is! Permission! Now, if you’ll excuse me, I have some pie to eat for breakfast. Amy grew up in New England and spent a lot of time outdoors and reading in the woods. She has lived all over the United States and currently lives in Michigan. Amy wrote plays and screenplays before she circled back to her first love, sci-fi and fantasy novels. 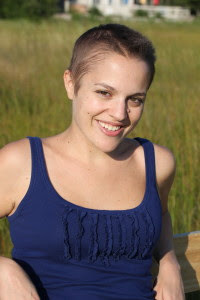 Amy hold's an MFA in Writing for Children and Young Adults from Vermont College of Fine Arts. Alone was the note Cade knew best. It was the root of all her chords. 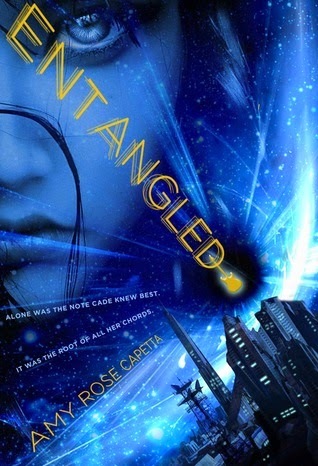 Seventeen-year-old Cade is a fierce survivor, solo in the universe with her cherry-red guitar. Or so she thought. Her world shakes apart when a hologram named Mr. Niven tells her she was created in a lab in the year 3112, then entangled at a subatomic level with a boy named Xan. Cade’s quest to locate Xan joins her with an array of outlaws—her first friends—on a galaxy-spanning adventure. And once Cade discovers the wild joy of real connection, there’s no turning back. Merry Christmas and Happy Holidays Giveaway! Giveaway of WORLD AFTER (5 Copies) by Susan Ee!